NuGet packages contain reusable code that other developers make available to you for use in your projects. See What is NuGet? for background. Packages are installed into a Visual Studio project using the Package Manager UI or the Package Manager Console. 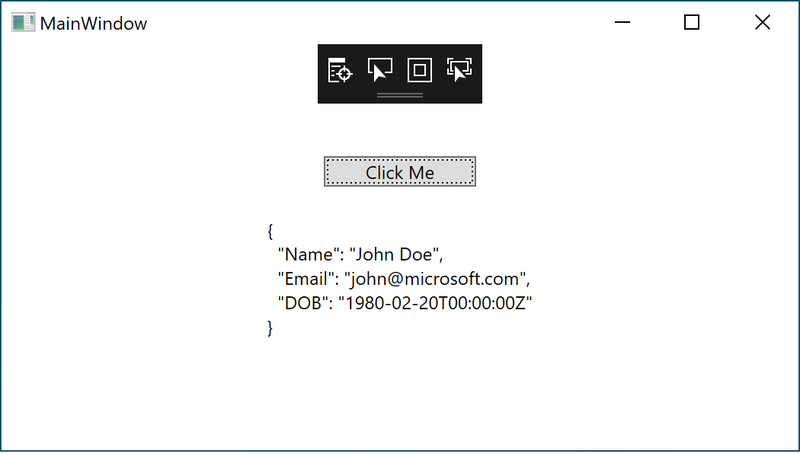 This article demonstrates the process using the popular Newtonsoft.Json package and a Universal Windows Platform (UWP) project. The same process applies to any other .NET or .NET Core project. Once installed, refer to the package in code with using <namespace> where <namespace> is specific to the package you're using. Once the reference is made, you can call the package through its API. Start with nuget.org: Browsing nuget.org is how .NET developers typically find components they can reuse in their own applications. 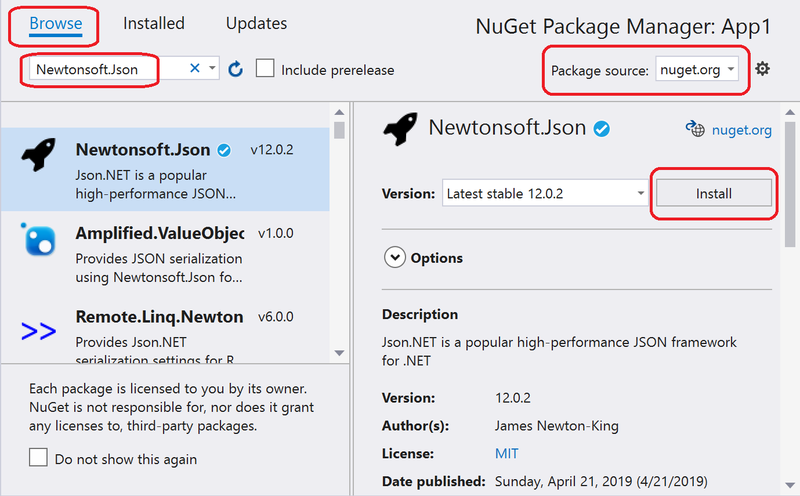 You can search nuget.org directly or find and install packages within Visual Studio as shown in this article. You can install the 2017 Community edition for free from visualstudio.com or use the Professional or Enterprise editions. NuGet packages can be installed into any .NET project, provided that the package supports the same target framework as the project. 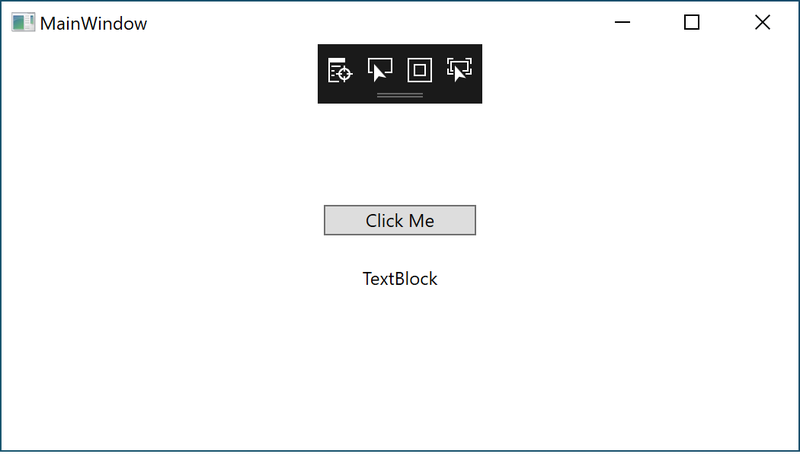 For this walkthrough, use a simple Universal Windows (UWP) app. Create a project in Visual Studio using File > New Project... and selecting the Windows Universal > Blank App (Universal Windows). Accept the default values for Target Version and Minimum Version when prompted. To install the package, you can use either the Package Manager UI or the Package Manager Console. 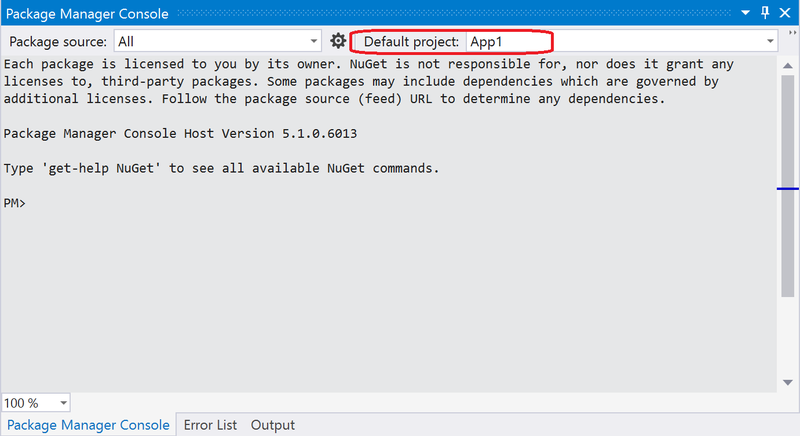 When you install a package, NuGet records the dependency in either your project file or a packages.config file. For more information, see Package consumption overview and workflow. 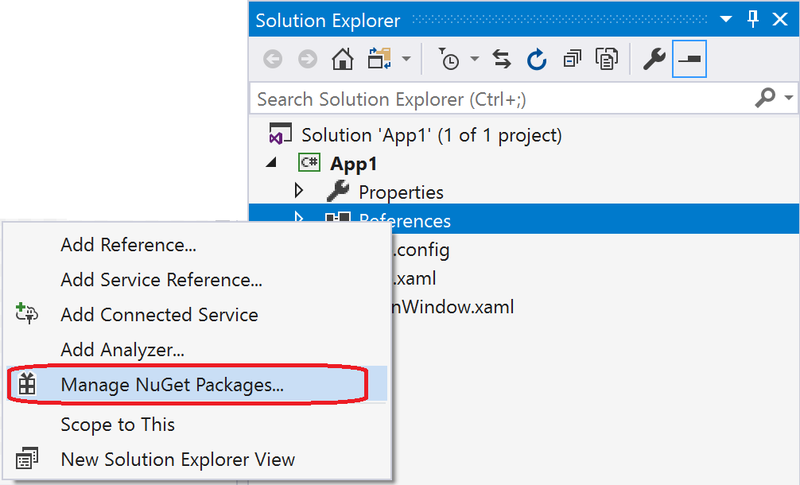 In Solution Explorer, right-click References and choose Manage NuGet Packages. If prompted to review changes, select OK. Select the Tools > NuGet Package Manager > Package Manager Console menu command. Once the console opens, check that the Default project drop-down list shows the project into which you want to install the package. If you have a single project in the solution, it is already selected. Enter the command Install-Package Newtonsoft.Json (see Install-Package). The console window shows output for the command. Errors typically indicate that the package isn't compatible with the project's target framework. With the Newtonsoft.Json package in the project, you can call its JsonConvert.SerializeObject method to convert an object to a human-readable string.